With Dr. Adina Riposan-Taylor, IIQTC Certified Tai Chi and Qigong Teacher. Presentation and Study: We’ll explore the roots and the philosophy of Qigong and Tai Chi, the mapping of existing forms, as well as the health and well being benefits. With Dr. Adina Riposan-Taylor, Wu Style Tai Chi Certified Teacher. 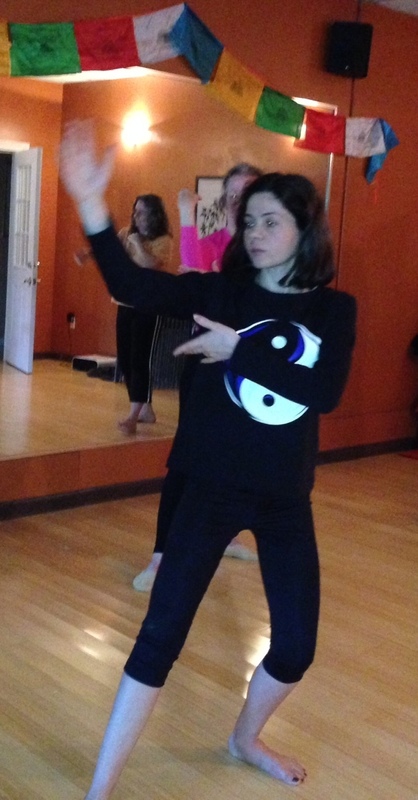 Presentation and Study: We will discuss the 5 aspects of the Wu, embodied in the Wu Style Tai Chi practice, expressed through the 5 different meanings and characters Wu used in Chinese language and Daoist traditions. 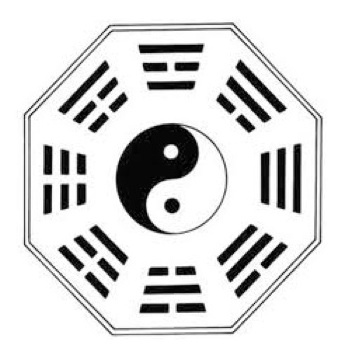 We will describe the ways of practicing the Wu Style Tai Chi form to the four cardinal directions and the center, manifesting each of the Five Elements (Wu Xing) of Daoist Alchemy in a particular way of practice and attitude, presenting the specific benefits that offer the dedicated martial artist the true refinement of the arts. We will explain a series of key concepts of Daoist Alchemy that will allow us to better understand and approach the practice at a more subtle and profound level – WuJi (Emptiness), TaiJi (Yin&Yang), San Bao (Three Treasures), Si Xiang (Four Directions), Wu Xing (Five Elements), and the relations with the three Dantians. We will finally discuss the way Tai Chi can be applied in life and relationships, as well as the main health, anti-ageing and disease prevention benefits of the grounded routine. Practice: We will start the practice with a Daoist standing meditation, followed by a series of warm up exercises and specific Wu Style Qigong and Meridian Stretching – preparing the students to understand and easily follow the Tai Chi form by breaking down the specific moves into sequences of micro-moves, with emphasise on legs, arms, hands and feet coordination. We will continue with the introduction of the 18-form Wu Style Tai Chi routine, flowing through the practice and enjoying the beauty and the bliss of the Wu. We will develop the awareness of the breath and cultivate specific attitudes while keeping the Witness Consciousness throughout the practice. We will finalise the experience with a Daoist standing meditation and we’ll dissolve in Emptiness, returning to the Dao. We’ll explore the legend of the Golden Elixir of Eternal Life, going deeper into this old verbally-transmitted teaching and practice coming from the Oriental wisdom. We’ll discuss the broader philosophy and archetypal human mythology related to the life of an ascending person, and we’ll look at parallels and connections with similar mythology systems that centered around the “inner elixir” concept – known as “Ambrosia” in the Greek mythology, “Nectar” in the Latinised version, “Soma” in the Vedic traditions – which were all thought to confer “immortality” or “Amrita” to the “Gods” or to the “ascending seekers” of spirituality. We’ll re-discover the “inner elixir” concept as being the most highly refined essence of self, our “true nature”, expressing the profound truth of eternal being. 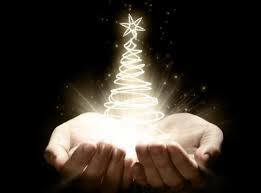 We’ll tell the story and we’ll build up the practice around it, learning the “7 Precious Gestures” Qigong form. We’ll explore this amazing traditional practice of Shamanic (Buddhist and Daoist) origins for bringing an auspicious message associated with the cycles of life. We’ll enjoy an unique and life-transformational manifestation of Daoist Alchemy, introducing Primordial Qigong (Wuji Gong) and experimenting with “The descent of the dimensions”. We’ll continue the workshop with the “Marrow Washing” (Xi Sui Jing) Qigong and meditation, following the Four Cardinal Directions – while experiencing timelessness and harmonising our practice with the seasons, attracting and embodying their particular qualities. We will gather Qi from nature and purposefully store it in the marrow of the bones to vitalize organs and glands, to harmonize imbalances, and heal disease. We will finish the practice with the Golden Elixir of Eternal Life – the most highly refined essence of self, expressing the profound truth of eternal being. In this Workshop we will learn about the Muscle/Tendon Changing Qigong practice (Yi Jin Jing) – the ancient internal and external Martial Arts practice that strengthens your physical body, including muscles and tendons – as well as all of the physical system which is connected to the muscles and tendons (including the internal organs) – and maintains the smooth circulation of Qi in the primary channels. This is the key to glowing health and slowing down the degeneration of the physical body, a way to rebuild your body, to strengthen immunity against most diseases and slow down the effects of ageing. During this practice we’ll focus our attention on circulating the Qi in the 12 primary Qi channels and the 2 major Qi reservoirs – the Conception and Governing Vessels (Ren Mai and Du Mai), then we’ll be able to open the small Qi branches from the primary channels to the surface of the skin. We will start the practice with free-style Tendon Changing Qigong, to prepare the body, mind and breath for more advanced forms. We will continue with the Tendon Changing Classic form consisting of 12 postures that are done in coordination with particular patterns of breathing (different postures use different origins of breath and foot position). 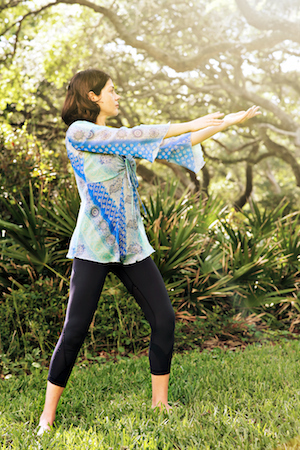 We will gradually work toward grounding the Muscle / Tendon Changing Qigong form as part of our regular Qigong practice. The Six Healing Sounds Qigong form (Liu Zi Jue) is a particular Qigong exercise which focuses on breath control, to regulate and control the rise and fall of Qi (vital energy) through the inhalation and exhalation of Six Healing Sounds. The practice involves the coordination of movement and breathing patterns, featuring slow, gentle movements that are safe and easy to learn and are suitable for people of all ages and in all conditions of health. Each of the Six Healing Sounds is directly related to the main organs, and the practice of this Qigong form strengthens the liver, heart, spleen, lungs and kidneys: “Level the Liver Qi”, “Supplement the Heart Qi”, “Cultivate the Spleen/Pancreas Qi”, “Supplement the Lung Qi”, “Supplement the Kidney Qi”, “Regulate the Triple Burner Qi”. While helping to balance the energy and functions of the internal organs, the form also brings calming and stress-release effects. The theoretical basis of the Six Healing Sounds (Liu Zi Jue) exercises is in line with the ancient Traditional Chinese Medicine theories – including the Five Elements and the Five Solid Viscera. During the practice, the direction of body movements and mind follow the inner circulation law of the meridians. During this workshop we will dynamically and interactively learn and practice the ancient Qigong forms inspired from the life and the movements of the animals, bringing together the unlimited wisdom of Nature and Traditional Chinese Medicine concepts. The Animal Frolics Qigong exercises (Wu Qin Xi style) were initially developed Dr. Hua Tuo – a leading physician of the Eastern Han Dynasty who lived around 200AD (the first Chinese surgeon and the inventor of the anaesthesia) – by observing nature and the life of animals. The practice involves coordinating breathing patterns with physical postures that imitate the particular movement patterns of the animals, to maintain health and well-being. It helps to harmonize the flow of Qi in the body, strengthen the internal organs, and fortify the body, while cultivating the particular qualities and strengths of the chosen animals. We will explore the classic ancient forms and sequence and develop the peacefulness and gracefulness of the Deer, the fierceness and ferociousness of the Tiger, the calmness, strength and stability of the Bear, the agility and suppleness of the Monkey, the lightness and balance of the Bird, as well as more recent exercises inspired from mythology and nature – such as the Phoenix Rising (symbol of transformation), the Dragon and the Snake (mythical creatures), the Dolphin, the Crane, and the Butterfly (rising from the cocoon). We will finalise the workshop with this joyous and cheerful, yet inspiring, mindful and enriching practice, setting the basis for transformation, Qi cultivation, and grounded Tai Chi and Qigong routine.